Adult learning can support older people’s wellbeing in a range of ways. Adult learning can support older people’s wellbeing in a range of ways. Learning for personal interest enables older people to realise the ‘joy of learning’. The opportunity to share skills and knowledge or mentor others during later life may also be important for wellbeing. Adult learning providers: As people transition into retirement and reduce their working hours, participating in learning for pleasure or personal interest can be beneficial. The provision of programs aimed at older people and guidance to encourage take up will be beneficial in helping them to sustain and maintain their health and wellbeing in later life. Community organisations are an important context for learning and provide opportunities for social contact and relationships alongside learning opportunities. Older people can also be an important source of knowledge and experience for community groups and other individuals to draw on. Policy makers and adult learning providers: For those who wish to continue working in later life or return to work after early or unplanned retirement, the availability of training that meets their needs will support them back into work. Policy makers, learning providers and the third sector may need to work together to expand learning opportunities for older adults and help individuals to make the most of them. Learning through community organisations can provide important well-being benefits for both individuals and their communities. One study explored the benefits of learning for older volunteers (aged 60-93), demonstrating that engagement in learning can be transformative in later life. 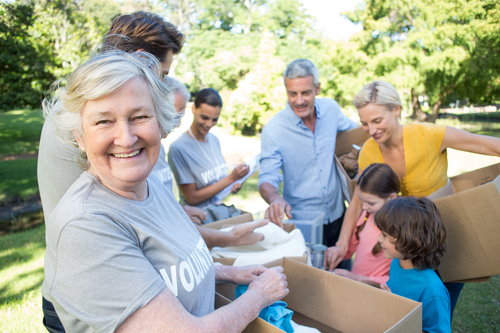 The continued engagement in learning experienced through volunteering was perceived as a way in which older people could maintain their physical and mental health.